A growing number of people are now realizing the true potential of harnessing the sun to meet their energy needs. With solar power hogging a lion’s share of the recent news, thanks to Modi Government’s solar push, people are now adapting to solar energy. As of April 2017, cumulative solar installations has crossed 12 GW in the country. But is this quite enough for a country like India? With over 300 million homes in India, over 300 days of sunshine in a year, and ambitious solar targets set by the Government (40 GW of rooftop solar and 60 GW of ground-mounted solar projects by 2022) one would expect a solar revolution in India. But as we know, this is not really happening at a ground level. We hear solar power today costs as much, or possibly lower than conventional power – especially for the commercial and industrial sector, in most Indian states. And yet just about one percentage of the Indian homes and factories/commercial buildings has put up rooftop solar plants in India. Operation of solar power plants is controlled by inverters. Inverters are key components that convert the DC electricity produced by solar panels to usable AC form. It gives command signals to switch off the power production in case of a need for maintenance or when a power signal for the inverter is not available. The inverters available in the market today for rooftop solar installations are designed to function in two modes; either using power supply from the utility grid( grid-tied mode) or with expensive batteries or other secondary power sources like diesel generators. Operations in both these modes have their challenges, one to do with making the solar power plant unreliable and the other to do with increased capital and operational expenses. The limitations listed above are especially relevant for a developing country like India where the grid power is not available in most places and even if available, is highly unreliable, especially in rural parts of the country. With the current grid-tied inverters available in the market, adoption of solar energy in cities also becomes challenging. This is because most cities and towns in India are plagued by load shedding, during which grid power is not available, rendering solar power plants using such inverters unable to generate power even during day-time. It is against the background of these challenges in the solar sector that a Chennai-based start-up, Kripya Engineering Pvt. 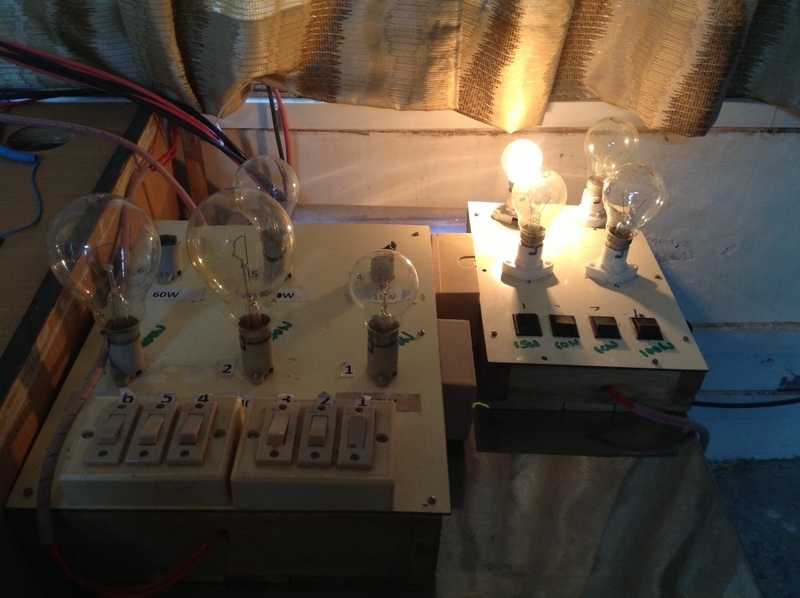 Ltd., developed a unique solution – Kripya dual mode micro-inverter. Apart from removing these avenues for power losses that arise in a conventional rooftop solar design using string inverters, the usage of micro-inverters also come with added advantages like improved maximum power efficiency, better optimisation and superior means of monitoring and control of the plant, ensuring optimal power production. But these micro-inverters also do not address the challenge of the need for an alternative power source for its functioning. During a power-cut, these micro-inverters also become non-functional unless supported by a battery or diesel power generator. 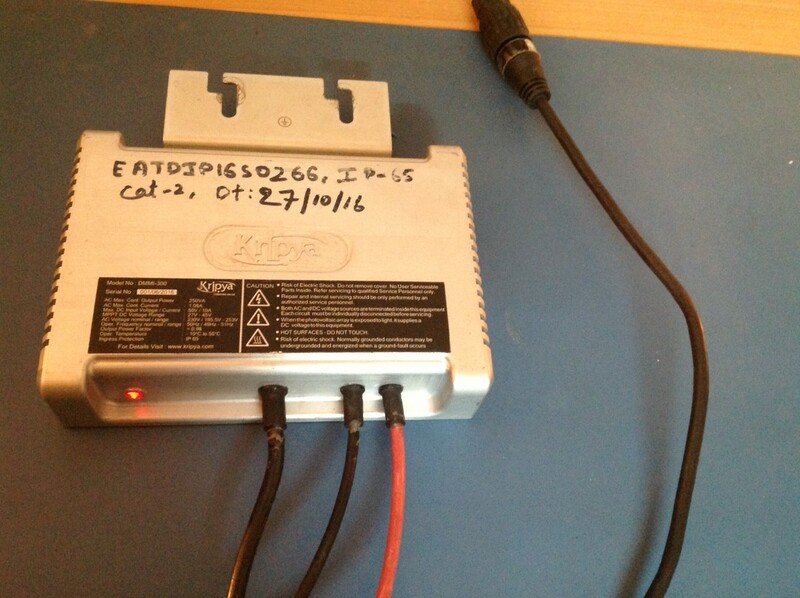 This is where Kripya’s dual mode micro-inverter scores. Kripya’s dual mode micro-inverter is a break-through technology that allows solar panels to generate electricity even during a power failure or even when there is no secondary power source available. The dual mode micro-inverter, as the name suggests, works in two modes: on-grid and off-grid. The micro-inverters are capable of dynamically switching between the modes, depending on the availability of grid power. During the on-grid mode, the systems work as per conventional systems and during the off-grid mode (for example during a power cut), they continue to support the local loads based on power generated solely from the solar power plant but stops being connected to the grid or feeding excess power back to the grid. However, solar radiation is not uniform during the day-time and the power generated from the solar panels are highly prone to fluctuations. Taking this into consideration, Kripya has also developed a load manager circuit that works along with the micro-inverters to ensure that the loads are not harmed due to these fluctuations. The load manager comes with features to segment the loads based on criticality and assigns priority to segmented circuits. During the operation, the load manager will automatically manage the segmented load circuits and turn off the non-critical circuits in case enough power is not generated from the solar power plant. It also ensures that it starts powering the loads only when the threshold of minimum expected energy for at least one load within a load segment is generated through solar. The technology has been patented and has already been tested in real life conditions. Kripya’s micro-inverters are also IP 65 rated, making it suitable for outdoor installations. On cost, the company estimates that it will be competitive with other micro-inverters available in the market today. The micro-inverters, introduced in late 2015, have already found takers and has been found to work well, especially for small solar power plant capacities ranging up to 10 kW. The Kripya team, led by Mr. V.G. 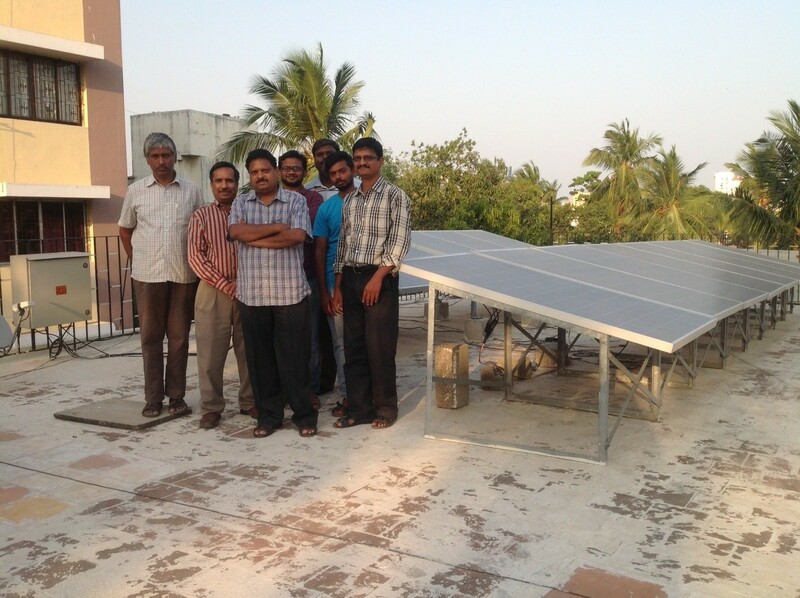 Veeraraghavan, deserves accolades for not going the conventional route and developing a technology that has been designed to mitigate challenges that are limiting the progress of much needed adoption of solar energy in India.Kudos to them for delivering technology that could set a revolutionary path for the power deprived and power hungry millions in India.